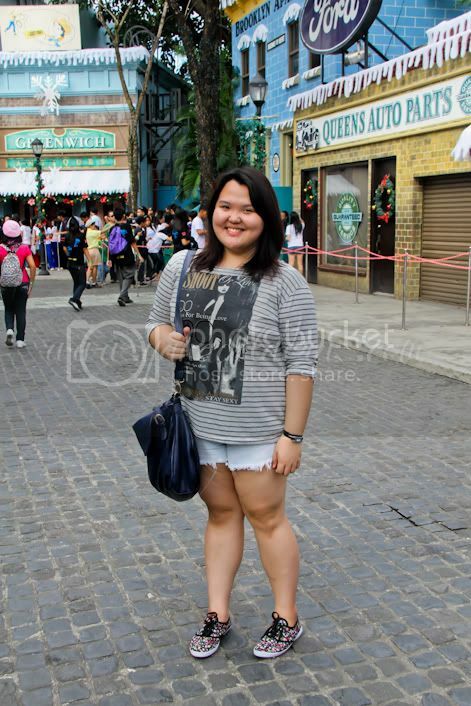 Here’s what I wore yesterday when we went to Enchanted Kingdom (I’ll be posting about it in awhile). Since I’ll be running around and riding extreme rides, I decided to wear a comfortable outfit. I just recently bought my top and shoes from the shopping adventures with my mom. When I saw those floral shoes, I immediately bought it because I’ve been searching for quite some time now. Super comfortable that I could run around with it. Plus, it’s only for 250bucks.